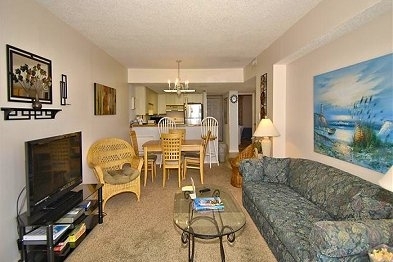 This property has become a highly requested spot for families traveling to North Myrtle Beach. Relax on the impressive oceanfront private balcony, where you can sit and look down upon the beautiful pool and kiddie pool. Most of these oceanfront 2 bedroom condos with an added bonus Bahama Room also have whirlpool tubs in the master bathroom, and the property featured a secured entrance and two elevators for your convenience. Waterpointe II is an excellent choice for families looking to enjoy a relaxing North Myrtle Beach vacation!